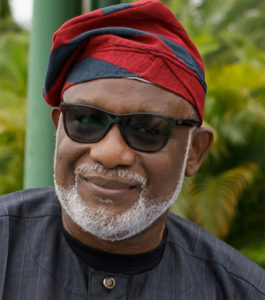 IN furtherance of his administration’s commitment to providing potable water supply across the three Senatorial Districts of Ondo State, Governor Oluwarotimi Akeredolu, SAN, has rehabilitated no fewer than 750 boreholes in about 300 communities under the Kamomi Aketi water scheme. Lack of potable water has been a huge problem in the state even as the immediate past administration abandoned the Owena dam project initiated by the late Olusegun Agagu’s administration. Finding lasting solutions to the lack of potable water supply in the state was the main reason the present government hosted the 24th meeting of the National Council on Water Resources last year. The General Manager, State Rural Water Supply and Sanitation Agency, RUWASSA, Engr. Rotimi Oladimeji said eight local governments have been captured with 750 dysfunctional water facilities being rehabilitated. According to him, local governments that have benefited include Ifedore, Ile-Oluji/Okeigbo, Owo, Odigbo, Ese-Odo, Idanre, Akoko-North, and Akure-North where the team is presently working. He affirmed that Governor Akeredolu’s directive to carry out need assessment of existing water facilities across the state with a view to providing on the spot remedial and technical solutions on the water facilities has been yielding a tremendous result. Oladimeji said: “We have an approach whereby when we get to a community, the team will immediately solve the water problem because we are moving towards the dry season and we have to prepare the ground to ensure that the people of the state have access to potable water. That is why we are working day and night to meet the target. “Formerly, we had two teams that were working on the field, but we have increased it to six so that we can have larger coverage within the shortest time. “Ideally, it is a year programme, whereby we have to cover all the local governments, but along the line, we are doing thorough inventory, need assessment, after this, we have to collate the areas that require boreholes and the areas that need expansion. Speaking on maintenance of the facilities, he said that the agency has scheduled a programme whereby the community people will be trained before handing over to them.